Henry Mayo Newhall was a New England Yankee who caught gold fever in 1849 and landed in San Francisco in the Gold Rush. Unable to find gold, he started an auction business in 1851, which thrived. 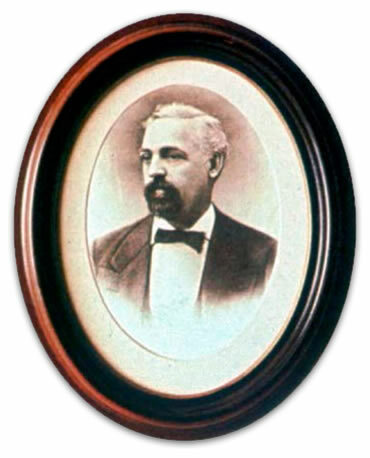 In the 1860s, he established the first railroad from San Francisco to San Jose and in the 1870s used the proceeds to buy Spanish land grants in central and southern California. Along the way he became a founder and benefactor of many charitable, social, and educational institutions in 19th-century California (see the link “About H.M. Newhall”). In 1963, his fourth-generation descendants established the Henry Mayo Newhall Foundation as a tribute to their patriarch. The Foundation is headquartered in San Francisco and is governed by a board of 13 family members. The board meets in the spring and fall to review and approve grant requests from nonprofit organizations and conducts site visits with prospective grant recipients throughout the year. The Foundation endowment, which comes from gifts and bequests from Newhall family members, supports philanthropic activities in the communities where H.M. Newhall lived or had business interests. These communities are the city of San Francisco, the Santa Maria Valley on the central California coast and the Santa Clarita Valley in northern Los Angeles County.